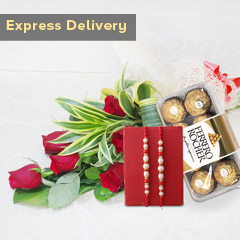 You already are running short of time…..Don’t wait further and place your order now! 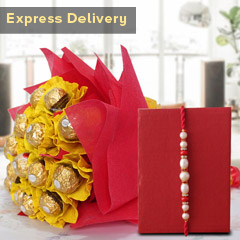 We have this delighting bouquet of one beautiful Rakhi and one delighting bouquet of Roses and this will make for the best surprise for your brother. 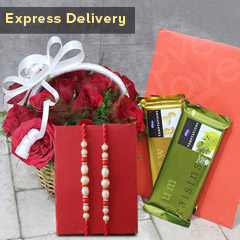 Our express delivery services will make it reach in stipulated time frame. So, what are you waiting for?